Cover art for the SCBWI Bulletin (bi-monthly magazine of the Society of Children’s Book Writers and Illustrators). The image had to include a kite, while conveying something of the essence of kid’s literature. 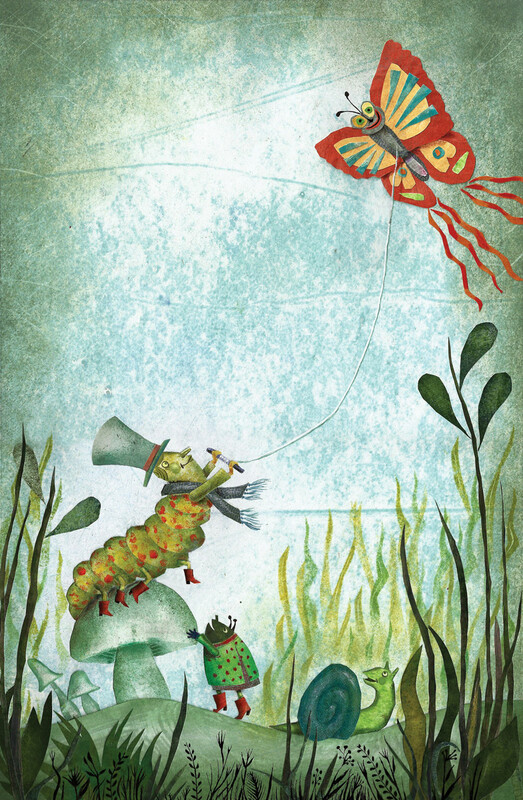 Pairing the caterpillar with the butterfly kite expresses something of the transformative power and freedom of imagination that kid’s books bring to young readers.